Shan State region in Burma where poverty, child trafficking and persecution is causing distress for many children, is the place where Stand by Me have embarked on building a children’s village. 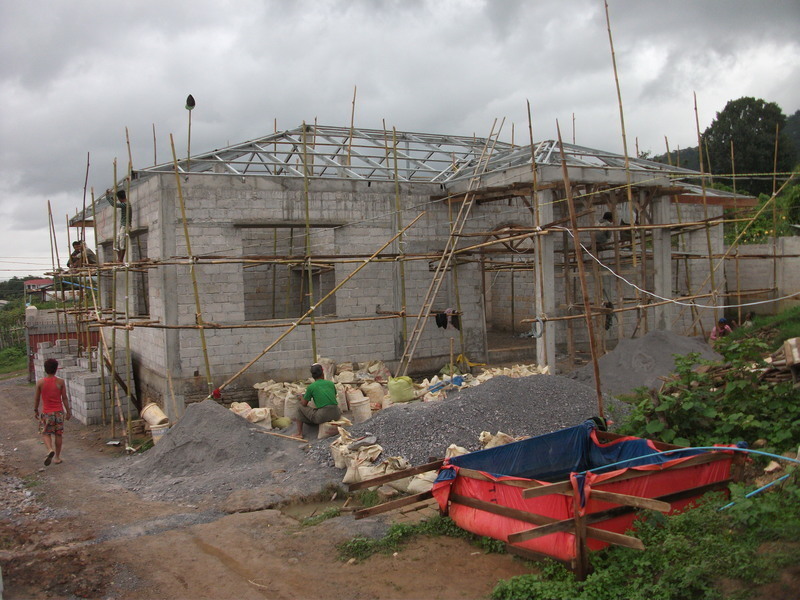 The village will be a quality home environment for children who are desperate for loving care and a great education. Last year, James, our director in Shan State, moved with his wife and young baby Daniel from his home in the Chin Hills to Shan State and the basic bamboo house on the land Stand by Me were applying to build the children’s village. This was a big move for the young family and a challenge to settle into a new area with a different culture and new neighbours who were wary of them. But they shared Stand by Me’s heart to reach children living without care or hope in this destitute area. Stand by Me’s work in Shan State has developed significantly in recent months. In March and April James and Esther were able to reach out to local children by running a summer school providing a free daily lunch, English lessons and games. Then in May, to our delight, we received the long awaited news that we had been granted the permit to begin building the main structure of the homes on site. We were eager to begin and building work commenced on the 21st May to build two children’s homes. The Shan State homes will, in time, care for 30 abandoned and orphaned children. It will be a centre for Stand by Me to build relationships in the local community and bring hope to many trapped in poverty. Cami, the Director of our work in Romania, took the girls of the House of Hope into her hearts and has cared for them as their Mum since they were babies. Three of the girls are now 18. Read her guest blog on why she is bursting with pride for Gabriela. Krupa*, Samir* and little Rachita* are three of the poorest children we had ever come across. We met them in a remote and mountainous area, their hair red because they were malnourished.